In the past many companies have suffered from reduced or diminishing attenuation figures through problems like oxidisation and so have had to resort to processes like chromate conversion or paint striping an area after painting, to eliminate this. We have developed a tape that is designed to withstand the rigours of powder painting and leave a highly conductive, non-corroding landing area to ensure optimum conductivity between metal faces and seals. 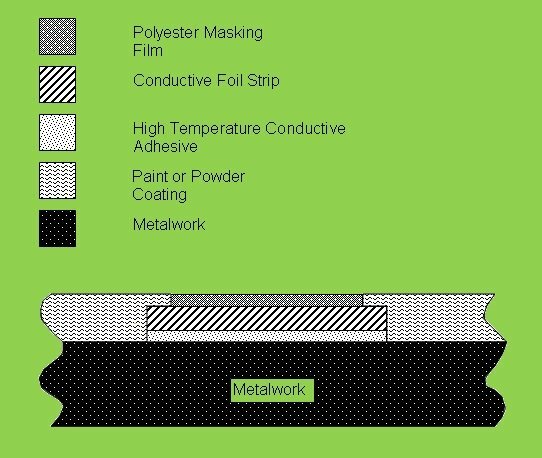 “Bake & Peel” Easy peel masking tape is a Tin plated copper foil with an aggressive conductive adhesive on one side and a polyester film mask laminated to the other side. This polyester film is inset by approximately 1 to 1.5mm each side of the foil. Once the foil is applied and the metalwork has been painted the film mask is removed. As the paint overlaps the foil, it seals the edges, preventing moisture ingress. Oxidisation is minimised by the Tinned surface of the foil and a highly conductive, aesthetically pleasing corrosion resistant area is left after removal of the easy peel polyester mask centre strip. 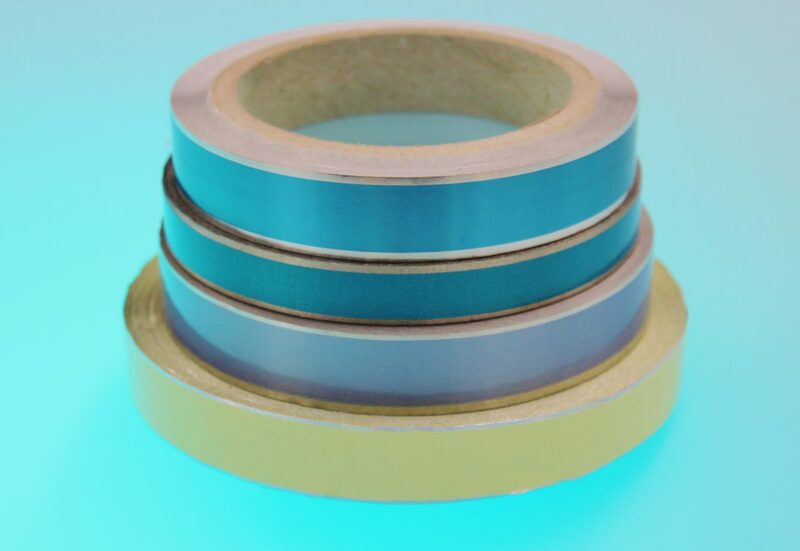 Bake & Peel tape enables you to minimise costs whilst maximising shielding effectiveness and aesthetic qualities.